We’ve all seen the problem. It’s the dead of winter; you go to start the truck or application vehicle and hear a few grunts followed by Click-Click-Click. Wait a few seconds and try again to start it and hear, Click-Clink, then silence. You rush to hook up the booster charger, select the highest charge rate, wait a few minutes, and give it another try. Odds are the machine will start, and you drive off to the job. Booster chargers can be a problem for on-board electronics, and they won’t do the job for properly charging the batteries. In agriculture, many vehicles are not used at all for a good portion of the year, causing the battery to completely discharge. The problem is bad enough with vehicles that are driven daily but greatly exaggerated with application vehicles that may be inactive for several months. My preparation for this column involved a lot of reading and researching the internet along with a couple visits to good locally owned auto parts stores and an extensive meeting with Kendra Reinhard at AutoZone in Van Wert, OH. I asked a lot of questions, some of which I’ve had for years, while trying to better understand any recommendations for heading off battery problems before outright replacement is needed. 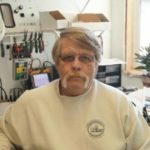 This Tech Notes column is written to give you a better understanding of vehicle batteries while suggesting methods that will help them last longer and provide reliable performance when needed. With the exception of new unusual technologies, vehicle batteries are made up of lead-acid cells. A plate of lead in a solution of sulfuric acid will create an electric charge. Each lead-acid cell generates 1.2 volts of electricity. The cells are hooked together, in series, inside what we see as the battery. Plates can be added in each cell to increase the available current. Each cell remains at the same voltage, but the charge or current available increases as plates are added. An additional piece of material is placed between the lead plates, which keeps them from shorting together. 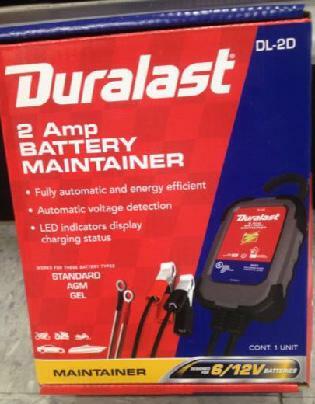 I found at AutoZone that they could sell me four different lead-acid batteries for my GMC pick-up. They all would fit, but they ranged in price from $89.95 to $189.95, and if I spent $239.95, I could get what they called the “best.” My question for Kendra was, “What’s the difference?” She went on about cranking amps, cold-cranking amps, reserve amps, quality of materials, and warranty.” As a consumer, I tend to buy the middle grade of most things, but I really wanted to know why. Cranking amps is the specification for the battery of amps available for short bursts of time. This measurement is for 30 seconds at 32°F or 0°C. Cold-cranking amps is the available current at 0°F or -18°C. High-cranking amp batteries have more lead plates installed to increase the charge of the battery. That means the plates are closer together in a high-capacity battery. You can literally feel the weight of the battery increase along with the price. More plates = higher cost. The material separating the plates becomes an important consideration as the plates get closer together in a high-capacity battery. Higher-priced batteries use better-quality materials to separate the plates. In high vibration or shock conditions the cells must absorb the shock. If plates short together, it will cause the battery to fail. I spent some time at the Johnson Controls website, as I found they are the manufacturer of AutoZone batteries and most other common labels. They talk extensively about plate construction or what they call “Mesh”-constructed plates. The idea is to create a battery that can handle the shock and vibration. When any battery sits idle, it loses energy. As the energy leaves the battery cells, the acidity of the liquid begins to drop, resulting in less power when needed. This energy gets replenished when the battery is charged. Today’s vehicles almost always draw some current from the battery, even when they appear off. Many of today’s batteries are sealed but vented to allow gases to escape from the cells. The ones with removable cell plugs allow you to check the acidity using a hydrometer. The specific gravity will indicate the acid level or charge available in the battery. In addition to distilled water, you can add sulfuric acid to bring the level up. If your battery allows, the tools and materials are available at the auto supply. In agriculture, many of the vehicles are not used at all for a good portion of the year. In areas such as Ohio, a rig may get parked in November and sit cold until it’s needed in late February or March. At the farming level, machines may sit for months. During the months of downtime, the battery is constantly discharging. With all the electronics in today’s agriculture, you can plan on something using just a little energy. 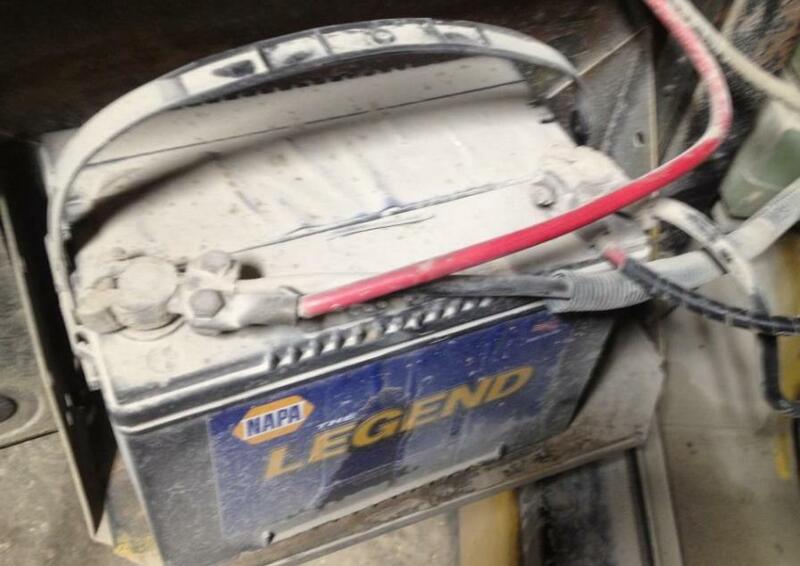 Once completely discharged, many or most lead-acid batteries won’t come back up in charge. The best way to ensure a healthy battery is to keep it charged. Use a “maintenance charger,” also called a “smart charger,” to keep the battery charged. Smart chargers stop charging when the battery is fully charged. A standard charger will overcharge a battery if connected continually. The overcharging causes the liquid to evaporate and eventually will overheat the battery. Smart chargers are available at any auto parts store. I found them in a price range from the one in the photo on sale at $20 up to $40. It could be smart but not practical to install a maintenance charger on the vehicles that will sit. The option would be to connect a charger to each battery bank once a month to ensure the charge is maintained. Try to never use the booster charger. As the next season approaches, plan to connect a slow charger to the machine a couple days ahead of needing it. This slow charging process is best for the battery. Any level of corrosion and loose or bad connectors will cause a host of problems. Not only starting the vehicle but the ability to power all the electronics on board is affected. You can buy terminal cleaner, which neutralizes the acid’s effects on the terminals and “protectors” that keep corrosion from occurring. Cleaning brushes can be helpful along with new terminals, if needed. The available connector pads neutralize any acid build-ups under the terminals. At the high end of the battery price structure at AutoZone is the Optima Battery at about $250. This is a different kind of battery. It’s a sealed lead-acid battery or what I’ve always called a Jell-Cell. Rather than a liquid acid environment, these have a more solid jell. This construction allows for a stable structure for the plates, making them extremely good in shock and vibration while allowing for great performance in high-current starting conditions and also great performance for powering electronics when not being charged. They can be mounted in any position. The only downside is cost. 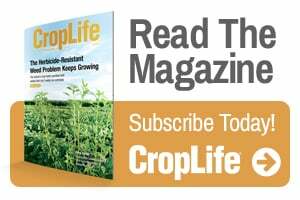 Please take a minute to check out my website, agtester.com, for tools for the ag technology specialist. I appreciate your feedback. Remember, Tech Notes is for the field guys. Please pass it on! John Dignan is Senior Engineer and Founder at Ag-Tester. For more information, email John at [email protected] or visit agtester.com. See all author stories here.